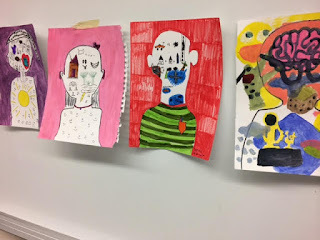 Due to the increasing numbers of diverse students in classrooms, I created "Art Build Community Project" to use art as tool to allow students from different backgrounds to learn about one another. We began our classes with Native American Cleansing Ceremony with story telling where students form a circle and share their stories. Then we discussed the our art projects as ONE community. Then, we warmed up by having students from different ethnicity pair together to work on quick community building games. Our projects are not only about learning art but learning about our own cultures and who we are. Then once we face with our true-self, we become ONE with our ART. 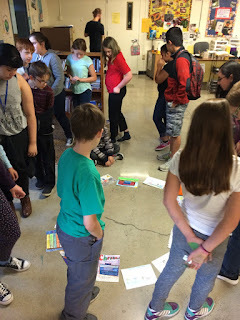 Our "Group Critique" was the time when students learned how to appreciate art and observe others stories's through their art without any judgement. By being in the present moment and learn as one community of artists, students learned to acknowledge others as who they are and learn to create their VOICES through the work they create.